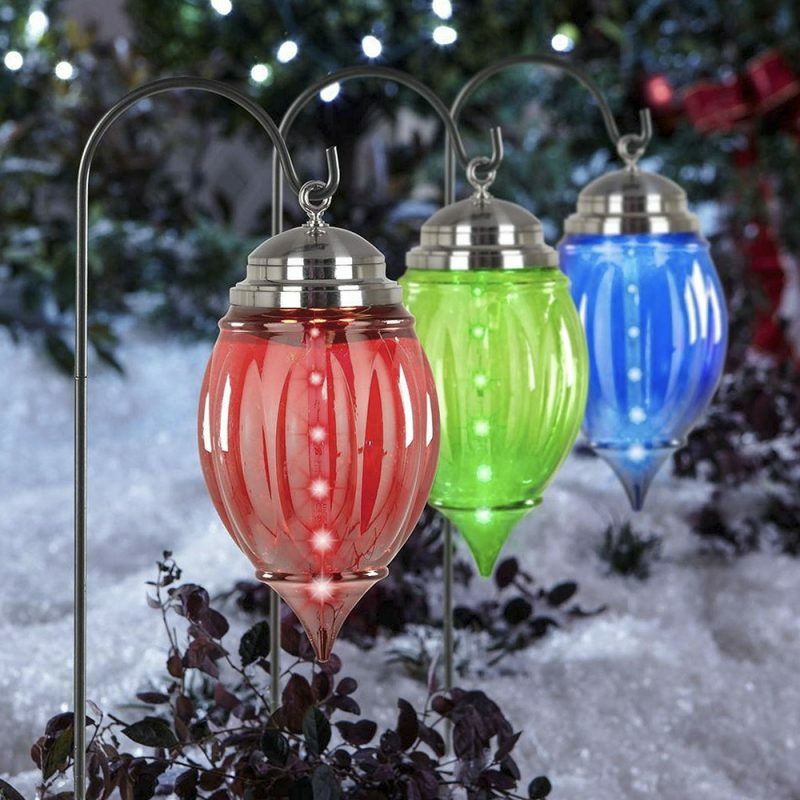 Greet visitors to your home with a festive path of colorful lights. The Multicolor Shooting Star Pathway Ornament Stakes brighten up a dark winter night with green, red and royal-blue lights with a shooting-star effect. They come in packs of three; connect added sets to create more impact. $30, (800) 466-3337, homedepot.com. 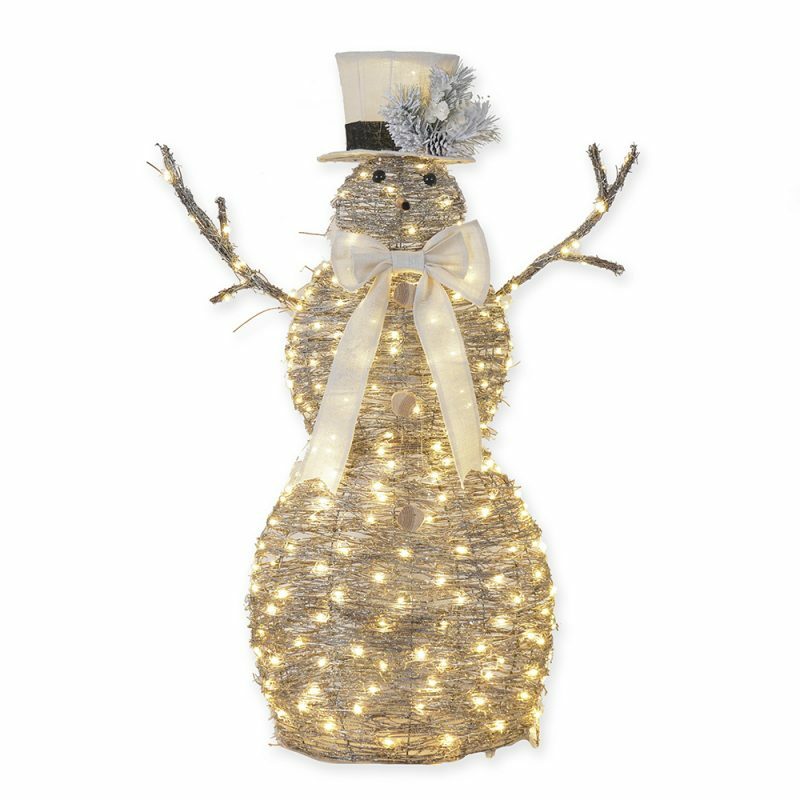 Add a little bling to trusty old Frosty, and you get this 48-inch tall LED Lighted Snowman. A gold-tone metal frame and 120 tiny white lights create an eye-catching glow. With his jaunty lighted top hat and festive bow, he’s ready to help you celebrate the season. $70, (800) 462-3966, bedbathandbeyond.com. Most people opt for reindeer in their Christmas displays. 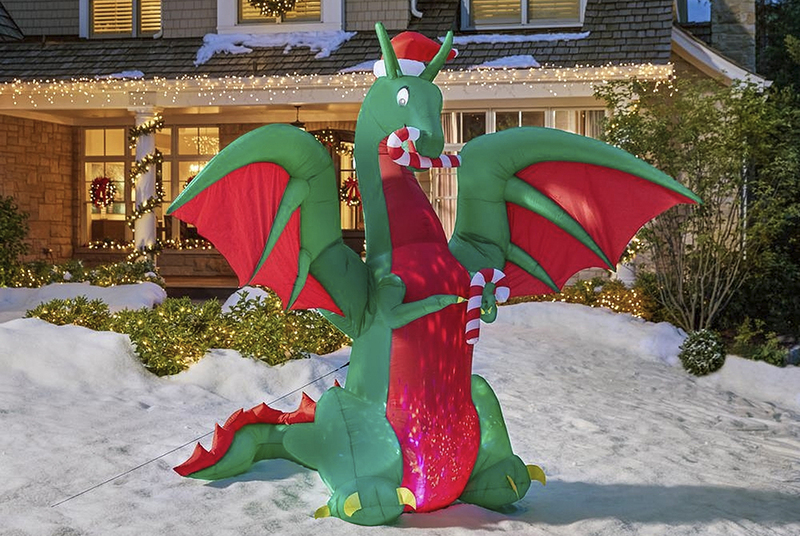 For a unique twist, how about a not-so-fierce, 11-foot Animated Inflatable Kaleidoscope Dragon with Santa Hat in your front yard? Far from fire-breathing, this red-and-green creature is occupied with a mouth full of candy cane, but he does flap his wings, and his belly lights up. $139, (800) 466-3337, homedepot.com. 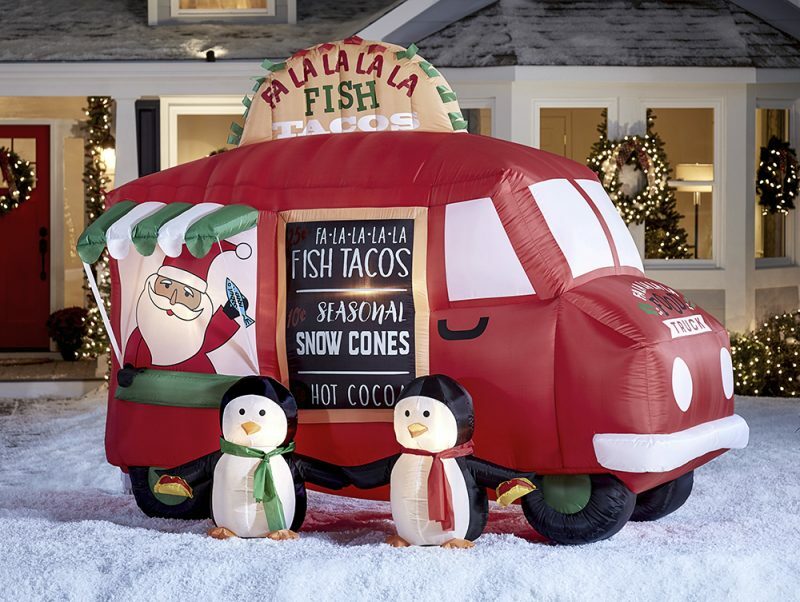 You’ll add flavor to your neighborhood with a Lighted Fish Taco Truck Christmas Inflatable. Santa and his penguin friends bring a unique holiday vibe to your lawn with a bright, red-and-green stand that’s 6 feet tall. And it’s great for directions: “Look for the house with the inflatable taco truck.” $149, (800) 445-6937, lowes.com. Everyone needs a little joy at the holidays. 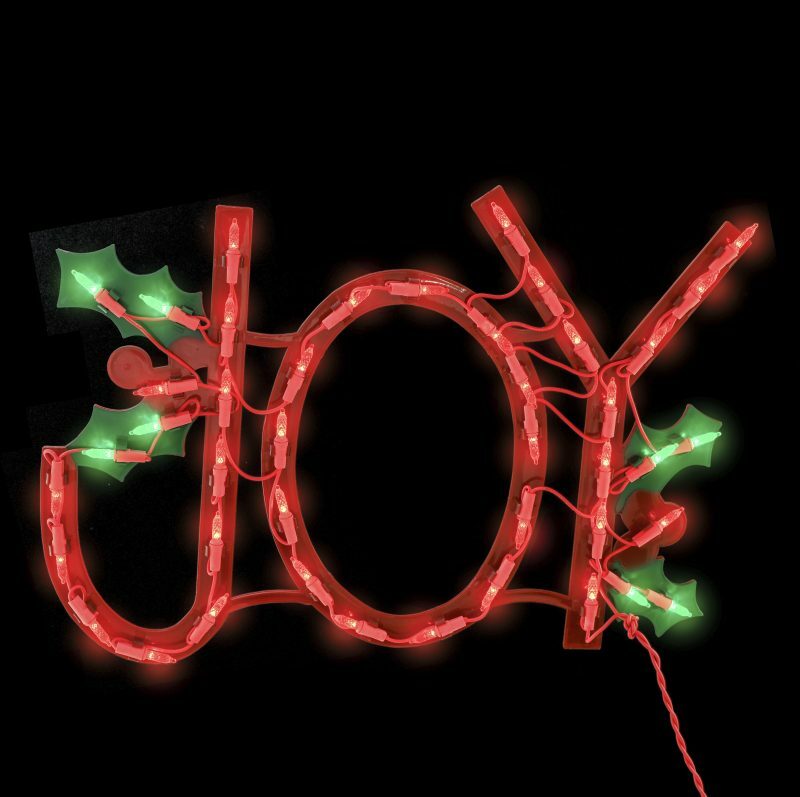 Hang the good word on a window or door with a cheery red Joy LED Lighted Ornamental. You can use it inside or outside; it comes with hooked suction cups for easy hanging. $15, (800) 361-6736, http://www.bronners.com.